Did you know that October is SIDS Awareness Month? Unsafe sleep practices are responsible for 80-90 percent of all Sudden Infant Death Syndrome cases. But, with safe sleep methods and HALO SleepSack, you’ll rest easier knowing that your baby is comfortable and safe. 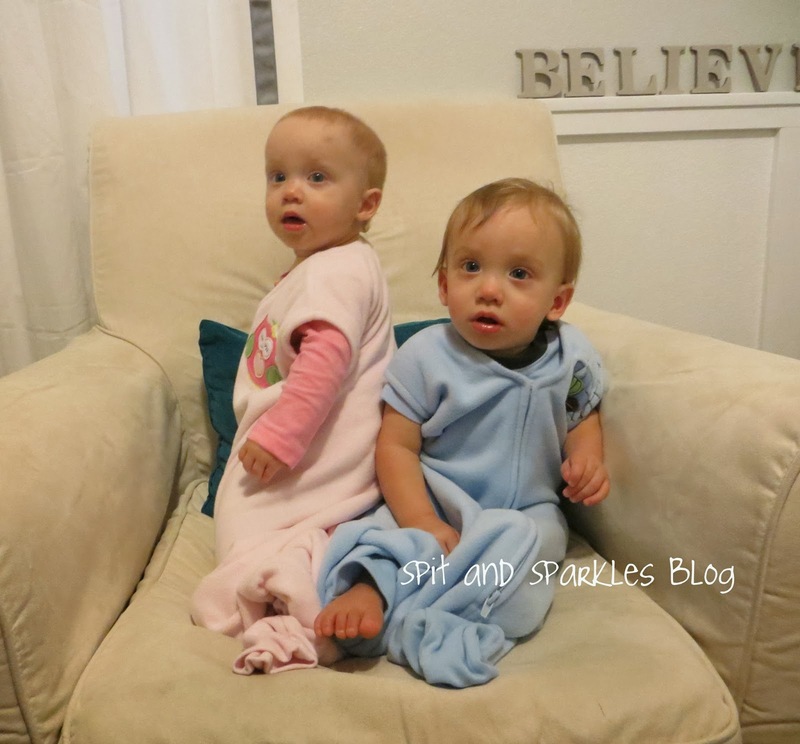 Corbin and Lynley both received the new Microfleece EarlyWalker SleepSacks. HALO Innovation’s SleepSack® wearable blankets have become the standard for hospital nurseries and parents alike. In fact, 1,000 hospital nurseries use the HALO SleepSack Swaddle instead of blankets through the HALO Safer Way to Sleep Initiative. HALO Innovations also offers free Safe Sleep Practices kits to childbirth educators to help further the cause of SIDS prevention. I’m so excited to use these swaddles once the babies grow into them a little bit, and it becomes colder. It’s too warm for fleece in Texas right now, but it won’t be long. These wearable blankets are so soft and cuddly that it makes it hard to put the babies down! I also love the fun designs available for both boys and girls. Lynley was trying to “pick off” her owl to play with. The sizing runs a bit big in my opinion. We requested size medium, which is for babies 16 to 24 lbs and 26 to 30 inches. Corbin and Lynley both fit into that category, and the sleepers swallow them! Granted, they are on the small end of the range, and let’s face they’re just petite babies. So if you have a normal-sized baby, the sizing will probably not be an issue. 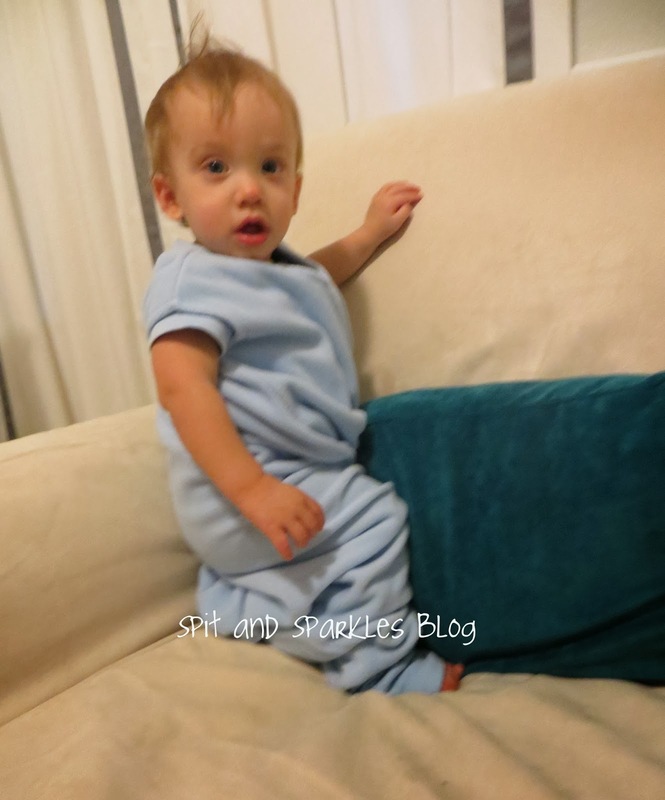 Have you see a common theme in all of the clothing we’ve reviewed? It’s always best to buy bigger though! Do you still swaddle your baby? What is your favorite HALO SleepSack? One lucky reader will receive ONE of the following new microfleece designs. You get to choose based on your child’s age/needs. Enter the Rafflecopter giveaway below. All HALO SleepSack designs are also now available on Target.com and Amazon.com. Awww .. those are really nice sleep sacks … LOVIN the owl! H@@T! Good post, love the do’s and dont’s to remember. Thanks Diann and Julie! Good luck in the giveaway! I like the sleep sack swaddle in the mint color. It would hide newborn diaper blow out stains! Hilarious! Good luck to you! Hey, I just found your blog! Love it so far! I like the Owl Leaves and Turtle! How cute are your twins!? I like the micro-fleece swaddle in Cream. I’m expecting my first baby (girl!) in November. Thanks for the opportunity.